The phrase “street food” often conjures up images of strange meats and undecipherable signs in faraway lands, but it's also known as being regional, cheap, and easy to eat. Traveling often as a vegetarian isn’t always simple, but sniffing out the best non-meat street foods has been wildly satisfying, especially while traveling with carnivorous companions who seem to stumble upon new culinary adventures around every corner. Some countries and cities are friendlier to vegetarians than others, with India and Israel coming in at the top of the list, and some have been so difficult that I’ve ended up eating salad and fries for days - not that I’m complaining about that. Overall, these street foods have kept me sane and satisfied across the world, causing me to crave and recreate them the moment I land back home. Israel is one of the most vegetarian-friendly countries I’ve encountered and their phenomenal street foods go well beyond the much lauded hummus and falafel. The ultimate Israeli street food, in my opinion, is the sabich, which is a warm, fluffy pita stuffed with fried eggplant, hard-boiled eggs, hummus or yogurt, and Israeli salad (typically diced tomato, cucumber, onion, peppers, and herbs). Fried potato patties mixed with onions and spices are widely found throughout the Indian subcontinent, but this version is most commonly found in Pakistan and India and served with a sweet and spicy tamarind sauce. Very similar in appearance, but not flavor, to Japanese gyoza or Chinese jiaozi, these little dumplings are both adorable and filling. I found pelmeni filled with mushrooms, onions, and turnips and served with a side of, what else, sour cream. Italy has plenty of vegetarian-friendly street foods, like pizza, arancini, and gelato, but I prefer to seek out dishes that aren’t as easily found back home. Rustico, a traditional snack from Puglia, is a little pastry with a goldmine of béchamel sauce, mozzarella, and tomato hidden inside. A popular Southern Indian breakfast or snack food, dosa is a sort of crepe made from rice and lentils. There are dozens of versions, but a very common filling is spiced potatoes with a variety of chutneys served on the side. If you’ve ever had grape leaves stuffed with rice, sometimes referred to as dolma, then you already know about sarma, which is just another way of saying “stuffed leaves”. My favorite variation - squash blossoms stuffed with rice and herbs - were found in Istanbul. Typically served cold, these were an entirely welcomed snack (along with a local Turkish beer, like Efes Pilsen ) on a very hot day. Normally a boiled egg that has been wrapped in some sort of meat or sausage, then breaded and deep-fried, vegetarian versions are widely available if you know where to look. Popular foodie destinations, such as Burough Market or Maltby Street Market, have endless varieties of scotch eggs to choose from, including some made from lentils or chickpeas. You may recognize tamago (a rolled and grilled omelet made of eggs, rice vinegar, and sometimes sugar, Mirin, or sake) from just about any sushi restaurant’s menu, but the Japanese take this popular street food very seriously and it is well worth seeking out. The Tsukiji Fish Market should most definitely be on your must-see list in Tokyo, even if you don’t eat seafood. You’ll find vendors selling tamagoyaki on sticks, with herbs, with shellfish, with mushrooms, or just plain, which is actually my favorite version. Finding vegetarian tacos is super easy these days and is certainly not restricted to any one place, but one of my favorite and most common variations is a nopales (aka cactus) taco in Mexico City. Some of my other favorites to look for are chard and cauliflower. If I had to pick a favorite item from this list, it’d be this one. Made from yucca and rice flour, filled with cheese, wrapped in a banana leaf, and then baked until bubbly, this is the most soul-satisfying, sweet, salty, and savory little snack I could imagine. I’ve tried desperately to replicate these at home, but it’s one of those things that will just never be the same. If I'm being honest here, I'd rather go to Los Andes Restaurant in Providence, Rhode Island to get my fix...they are amazing. To some, citrus seems like a very summery ingredient, but It's no wonder to me that most citrus is in season during the winter. Citrus makes everything taste a little fresher and a little brighter, which this season desperately needs. A squeeze of lemon juice can brighten up most savory dishes, from salads to soups to pastas, and a pinch of orange zest can take a plum pudding to new levels. I also love to decorate the kitchen with big bowls of fresh citrus - a big bowl of lemons, another of blood oranges. For Christmas dinner, I even used satsumas to decorate the table - everyone just loves their little attached leaves. It could be the dreariest of Januaries out there, but filling your kitchen with citrus somehow makes it all a little brighter. 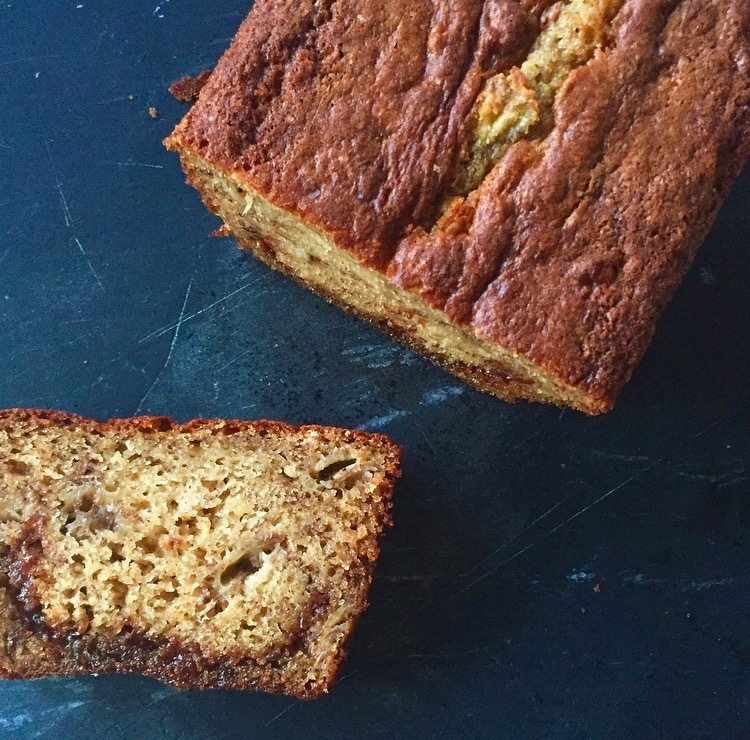 This recipe comes from the need to use up some of that citrus that I insist on filling my kitchen with! Whatever I made, I knew I wanted to use slices of blood orange because I think the color is just so beautiful. What I did was make a tart shell, pour in warm salted poppy seed caramel, top that with blood orange mascarpone, and then layer thin slices of candied blood orange to finish it off. It's scrumptious, bittersweet, and somehow fresh. It hits all the spots. There's nothing wrong with using a pre-made tart shell for this recipe. The recipe below is for one tart and I used a rectangular tart pan (13 3/4" by 4 1/2"), but I'm sure this would work great as a round tart also! In the bowl of a food processor, add the flour, sugar, and salt and pulse a few times to combine. Add the butter and pulse about 5-10 times, or until the butter looks like the size of peas. With the food processor running, add the egg through the feed tube and slowly start to add the ice water until the dough begins to form a ball. Turn the dough out onto a lightly floured surface, form it into a slightly flattened disc (if you're using a rectangular tart pan, take the time to form a bit of a rectangle before chilling - it makes rolling out the dough much easier later) and refrigerate for at least 30 minutes*. On a lightly floured board, begin to roll the dough out to your desired shape (round or rectangle), about 1/4" thick. Transfer the dough to your tart pan and be sure to fit the dough into every nook and cranny. You can either use a small paring knife to cut the dough all the way around or run your rolling pin around the edge of the pan, easily cutting the tart shell to fit. The key to a great tart shell is chilling it one more time before baking it. Pop it into the refrigerator for about an hour or, better yet, into the freezer for about 20 minutes. Now is the time to preheat your oven to 375 degrees. I usually just poke holes across the bottom of the crust with a fork, but you can also line the crust with foil and top with pie weights (or dried beans or another substitute) and bake for about 20-25 minutes or until lightly golden brown. Allow to cool completely before removing the tart shell from the pan. *NOTE: if you chill your dough much longer than 30 minutes, let it sit at room temperature for about 5 minutes before rolling it out. If the dough is too cold, it will break and crumble as you begin to roll it out. The basic idea here is to boil the blood orange slices, then let them simmer in simple syrup until the pith is nearly translucent. In a large saucepan, bring 3 quarts of water to a boil. Boil the blood orange slices for 2 minutes, remove, and let try on a towel. Dump out all but 1 cup of the boiling water, then add the sugar, and bring up to a gentle simmer on medium-low heat. Swirl the pan gently to ensure all the sugar is dissolving evenly. Once all the sugar has dissolved, add the blood orange slices, stir to coat, and allow this to simmer on low heat for about an hour, or until the orange pith is nearly translucent. Remove the slices from the syrup and allow them to cool on parchment or wax paper. In a heavy-bottomed medium or large saucepan, combine the sugar and water, making sure that the sugar has evenly absorbed all the water. Bring this to a boil over medium heat. Do not stir. If you notice any sugar granules not dissolving, just swirl the pan gently. Watch for the color to change from clear syrup to light golden to amber. At this point, watch very carefully. 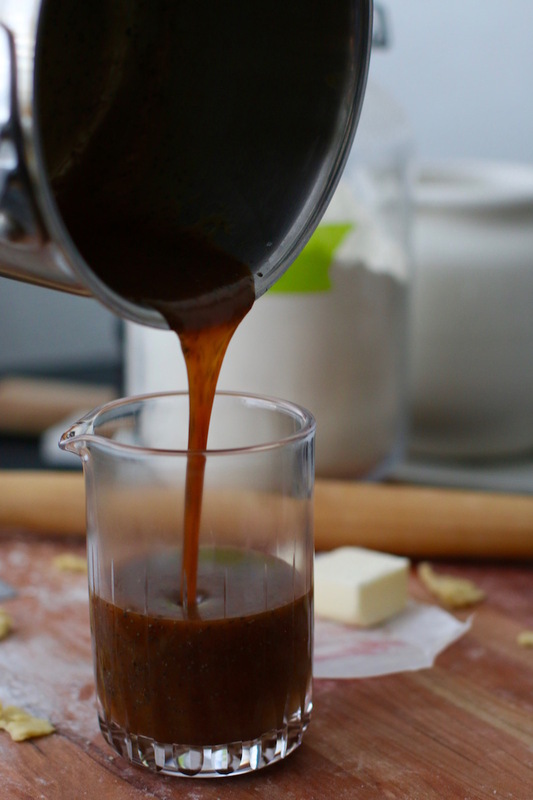 The exact moment that the caramel starts to turn a bit darker brown and you can start to smell the smokiness of the sugar cooking, turn off the fire and immediately stir in the butter and cream using a heatproof spatula or wooden spoon. Once everything has combined gloriously to make a luscious caramel sauce, stir in the poppy seeds and salt. Transfer to a heatproof glass or ceramic container and allow to cool for a bit. When filling the tart, you want the caramel to still be slightly warm and pourable - it just makes it easier. While the caramel is still slightly warm and pourable, pour an even layer of caramel into the tart shell. (Keep any leftover sauce for ice cream!) Pop it into the fridge and let it harden a bit. 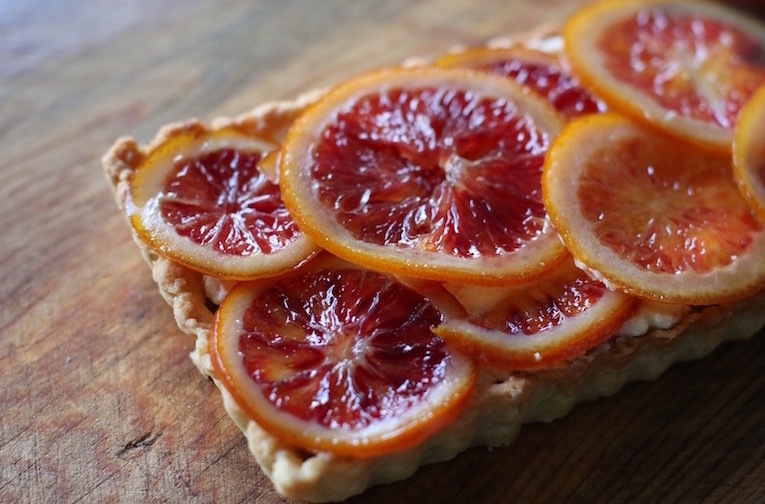 When the caramel is no longer warm to the touch, top it with blood orange mascarpone and spread it evenly into the tart. Pop it back into the fridge to allow it to firm up - preferably, about an hour. If you cut into it while the caramel and mascarpone are still at room temperature, the layers might start to ooze out. (If you're good with that, so am I. I don't judge.) You don't want the tart to be ice cold, you just want it to be firm enough to cut into it. When you take it out of the fridge, layer the blood orange slices over the top. Cut and serve! Let's face it: the leftovers are pretty much the best part of Thanksgiving. If you're like most people, you're left with dish after dish of leftovers and, after a few days, the last thing you want to see is a forkful of stuffing or yams, so here are some great ideas for using Thanksgiving leftovers that don't require a long list of other ingredients! One of my favorite post-Thanksgiving meals is the Thanksgiving Benedict. A handful of stuffing bound together with egg and breadcrumbs creates a scrumptious little stuffing cake that can be topped with a poached egg, the easiest hollandaise recipe on earth, and some chopped fresh herbs. For the stuffing cakes, combine the stuffing, eggs, breadcrumbs, 1 tbsp. fresh herbs, and lemon zest. Mix very thoroughly, ensuring that everything is coated in egg. Take about 1/3 cup of the stuffing mixture and form it into an even patty, making 6 cakes total. Heat 2 tbsp. olive oil in a skillet on medium heat. Cook each cake evenly until golden brown on both sides and place on a paper towel to drain. Fill a small saucepan with about 4 inches of water and 1 tbsp. of vinegar. Simmer on low heat and poach eggs gently, one or two at a time, until the whites are firm and the yolks are still soft. To assemble: Top a stuffing cake with a poached egg and about 2 tbsp. of hollandaise. If you'd like, garnish with additional chopped fresh herbs of your choice. Serve hot. 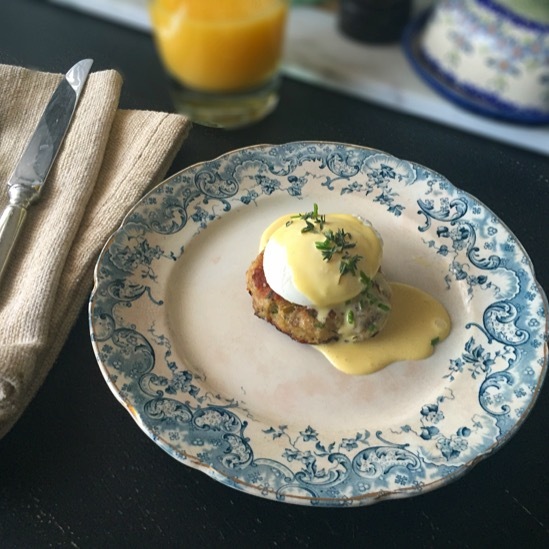 Tip: Make the stuffing cakes the night before (before you put all the leftovers away), then all you'll have to do the next morning is reheat the cakes and quickly make the poached eggs and blender hollandaise! If I have my way, I'll make colcannon for Thanksgiving dinner. But if I haven't had my way, I'll make it the next day anyway! This is a traditional Irish recipe, made with mashed potatoes, milk, either kale or green cabbage, BUTTER, and scallions or chives. Of course, there are about 1,000 ways to make this, so feel free to add your own spin on it with whatever you have in your refrigerator. Some people will also make it with bacon or pancetta, but obviously that's not happening here. I make mashed potatoes with Yukon gold potatoes (with skins), buttermilk, butter, salt, and pepper. I like the buttermilk because it adds a little depth of flavor to bland potatoes...and I am very generous with the salt and pepper. So, these are the leftover mashed potatoes that I'm starting from and I'll always have a bit of buttermilk left over as well. If you use regular milk and that's all you have, that's completely fine! In a medium pot, heat 4 tbsp. of butter over medium heat. Sauté the cabbage and scallions with 1 tsp. salt, stirring often, until the cabbage is soft, about 8 minutes. Add the leftover mashed potatoes to the pot, stir to combine, and heat thoroughly. Season generously with salt and freshly-ground black pepper and serve hot! If you've ever ordered a cheese plate, you've seen all the fun condiments that come alongside. One of my favorite condiments with hard cheeses, but especially white cheddar cheese, is actually cranberry jam. Using the same idea, I'm making a simple grilled cheese sandwich with rustic bread, sharp white cheddar cheese, and leftover cranberry sauce. 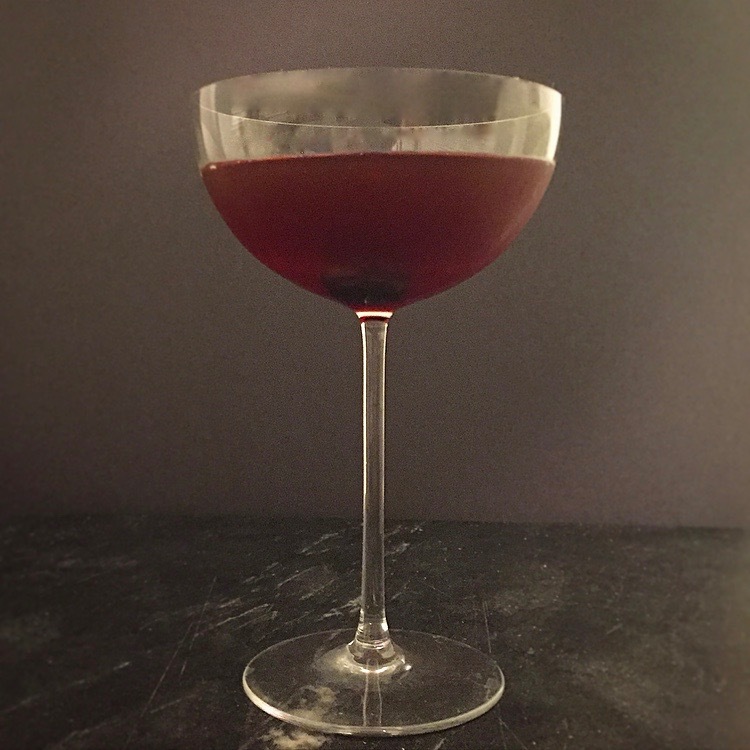 The cranberries work to cut through the richness and add a beautiful little flavor bomb to the mix. You can even add some turkey, if you're into that kind of thing. Heat 1 tbsp. butter in a skillet on low to medium heat. Spread the cranberry sauce on one slice of bread and top with white cheddar and then the remaining slice of bread. Coat both sides of the sandwich liberally with the rest of the softened butter and place the sandwich in a skillet, cooking until golden brown on each side. Keep the heat on low-med or else you'll end up with burnt bread and cheese that hasn't melted all the way through. If you want to speed up the process, use a panini press instead of a skillet. Serve hot with additional cranberry sauce on the side, if desired. I had mixed feelings traveling to Burgundy. 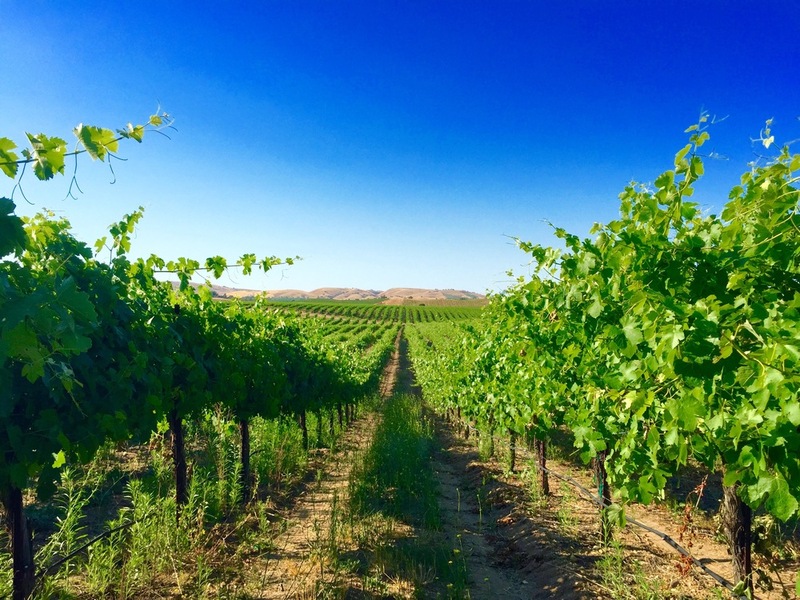 I was hoping that I would find a magical wine region where I'd fall in love with dedicated winemakers and regional dishes, not something that resembles the Napa Valley of France. 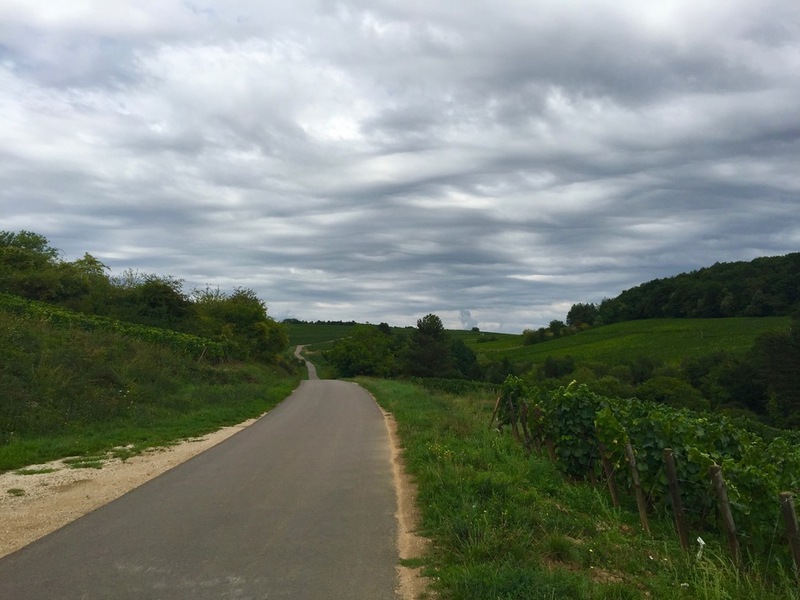 Luckily, I did find a magical wine region...winding through tiny little streets, from town to town, I seemed to be the only person on the road and I felt as if I was discovering a secret, even though Burgundy might just be the most famous wine region on the planet! One big issue in Burgundy is getting to a vineyard or getting into a winery. Job number one is finding a winery to see. It is well understood that most winery owners in Burgundy don't care about having tasting rooms and don't care to have their time wasted with your visits. After all, they're busy actually making the wine and tending to the vines! 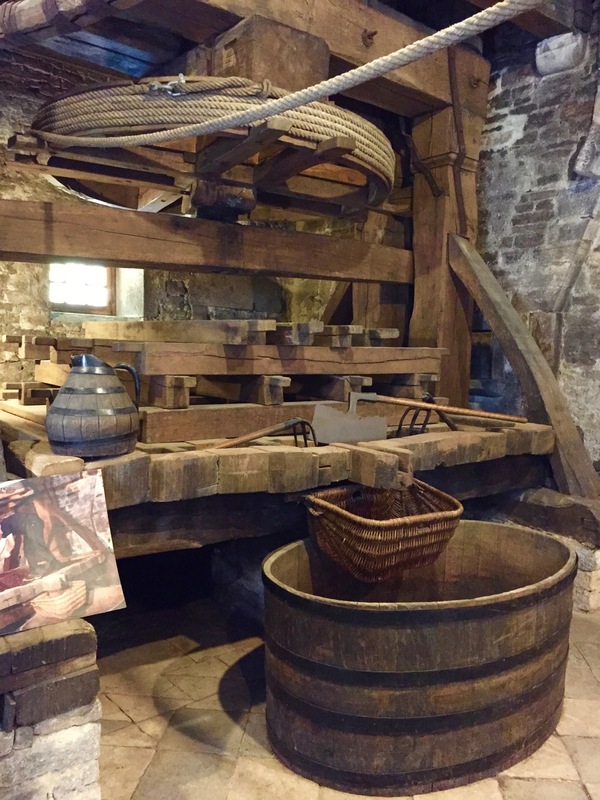 Winemakers in Burgundy are very hands-on and they don't have a huge problem selling their sought-after wines, so you really have to be with a tour, be in the wine industry, or "know someone" if you want to get up close and personal. You also really must have a car (or, again, get in on a small tour) to explore the region the way it needs to be seen, but if you're short on time you can certainly stay in the city of Beaune and still soak up a bit of Burgundy. When in Beaune, I recommend heading over to Maison Joseph Drouhin for a tour and tasting. You'll get to see the caves and, if you're lucky, you'll also get a great history lesson. After the tour, you'll taste three Chardonnays (their 2013 Meursault was exceptional) and three Pinot Noirs (even some Grand Crus! ), some of which are excellent! Afterward, head over to Restaurant Le Fleury, where I had the BEST oeufs en meurette (poached eggs in red wine sauce, an outstanding regional dish) my entire time in Burgundy. For dinner, Le Clos du Cèdre was a fantastic and memorable meal. Since I was on an ouefs en meurette kick, I had to order their fancy deconstructed version...while good, it just wasn't as good as Restaurant Le Fleury. You must also stop by La Moutarderie Fallot to tour the Edmond Fallot mustard factory and taste all the mustard you possibly can (unless, of course, you absolutely hate mustard...then you don't need to do this). Thomas Keller taught me about Edmond Fallot and I am forever grateful. It is the best mustard in the world and assists me in the kitchen almost every single day! It's just...the best. I absolutely do suggest renting a car, if you can, and spending at least a couple of hours driving through the region. I drove from Lyon to Dijon (Beaune is right in the middle), so I had a chance to see a great deal and it was the best part of the trip! 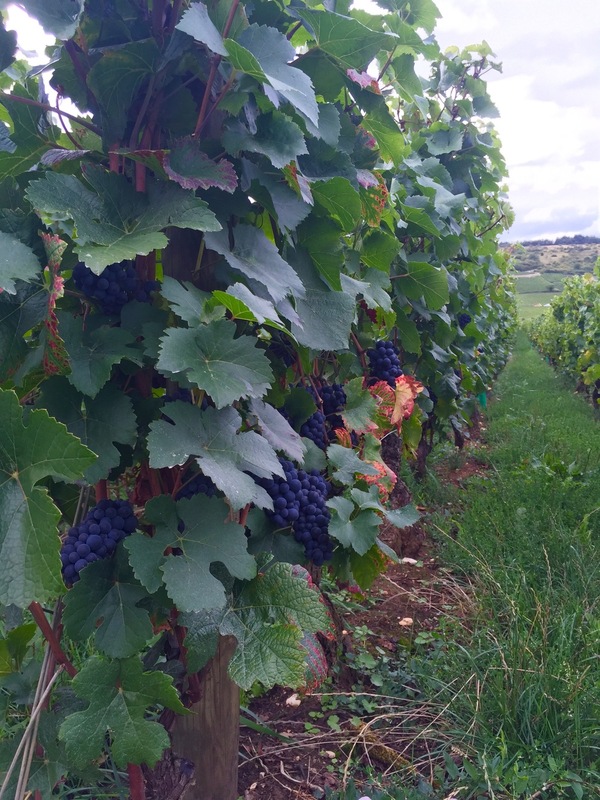 I traveled to Burgundy just before harvest (or during harvest, depending on the vineyard) and saw lots of beautiful, mature fruit hanging on the vines. 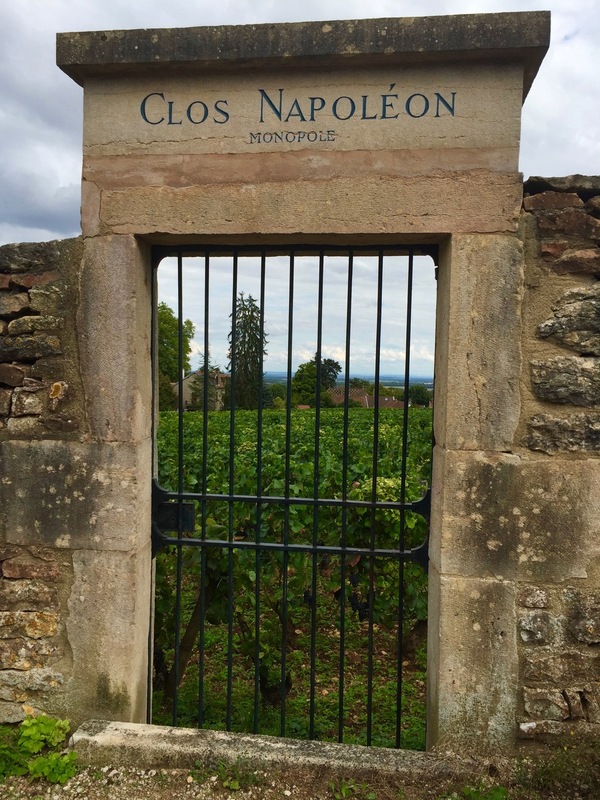 Since you're out in the middle of nowhere and probably need some sustenance at some point, make a lunch reservation at Au Clos Napoléon in Fixin, where they have an unbeatable atmosphere and view - literally surrounded by vineyards. They also have an excellent version of oeufs en meurette, if you want to stay regional. There is so much to see - you just need to show up with an adventurous spirit to get the most out of the region. If all else fails, taste wines in Beaune and Dijon and ask for regional wine pairings with dinner - just taste as much as you can and always, always, always ask the sommelier for his/her help. Get a feel for each appellation, what it offers, and what you do or don't like about those wines. For whatever reason, I seem to always choose reds from Aloxe-Corton and Nuits-Saint-Georges. Maybe it's wrong, but I have strong preferences! And those preferences may or may not change with each vintage. There are also so many hidden gems and indescribable landscapes. If you love wine and need a break from Europe's big cities, head to Burgundy right now!!! Also, if you make it up to Dijon (essential if you're heading back to Paris on the train), be sure to make a reservation at Loiseau des Ducs - wonderful, wonderful food and an imaginative, modern wine program. By the way, Julia Child has a great recipe for oeufs en meurette in Mastering the Art of French Cooking. Find it under "Oeufs à la Bourguignonne [Eggs Poached in Red Wine]". There is no need for me to come up with a recipe for this...some stuff is just classic and untouchable. If you can't make it to Burgundy, you can at least recreate this fantastic dish at home!